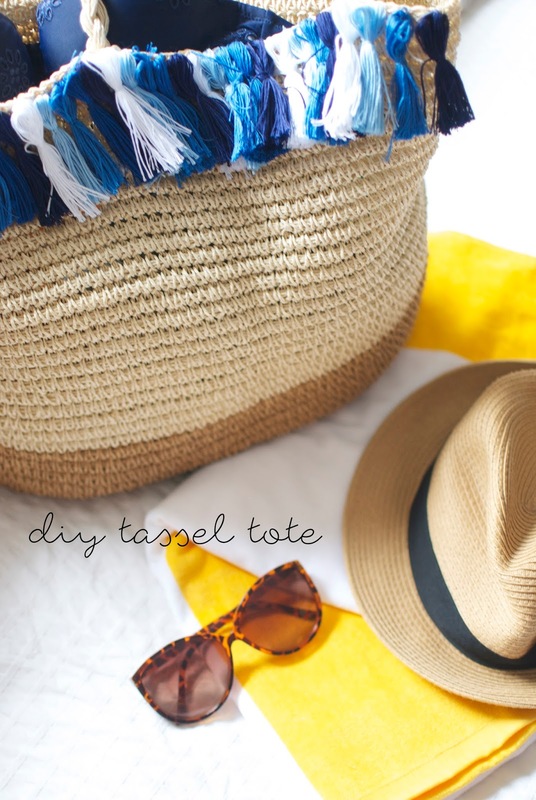 I bought this tote in February to take on our vacation, but then haven't really touched it since so I decided to give it a quick and easy revamp by adding tassels! 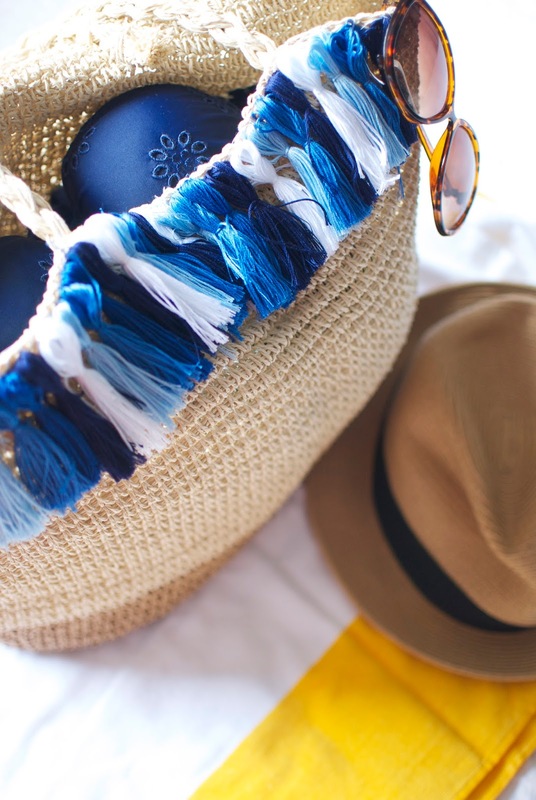 The tassels were easy to make, albeit a bit finicky, and the sewing was simple too. It was a simple transformation! I made 24 tassels in total - to make the tassels you'll need x number of skeins of embroidery thread, depending on how many tassels you want - each skein makes two tassels. 1. 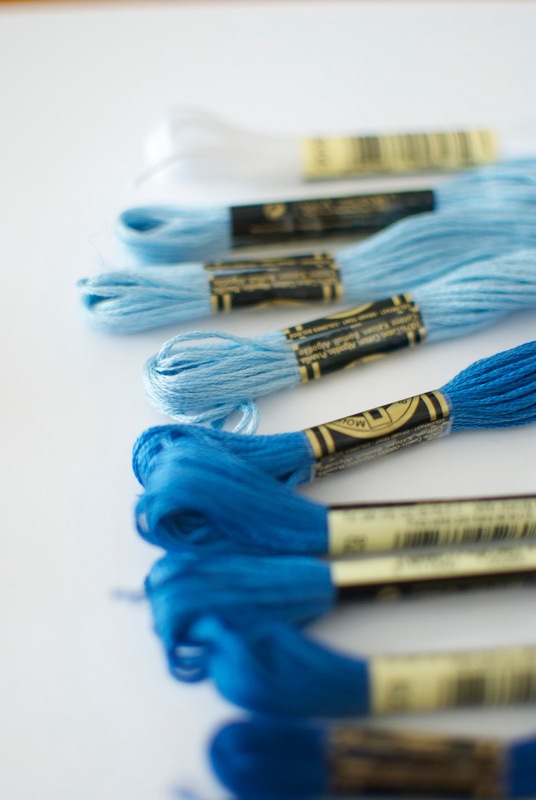 Remove the paper off the embroidery thread and open it up on a flat surface so it's a long oval. 2. 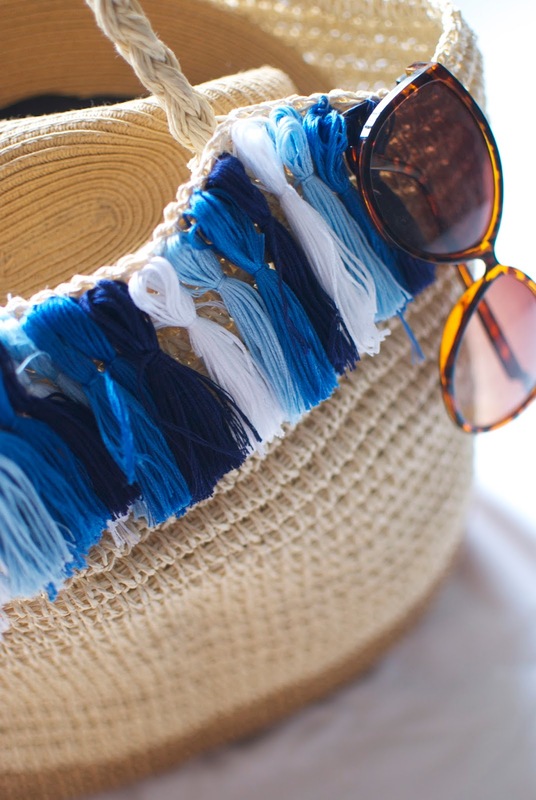 Cut a small piece of string and tie it around the top third of the loop, creating the head of the tassel. Then do the same on the other end of the oval - so you should have both ends of the loop with the round top. 3. 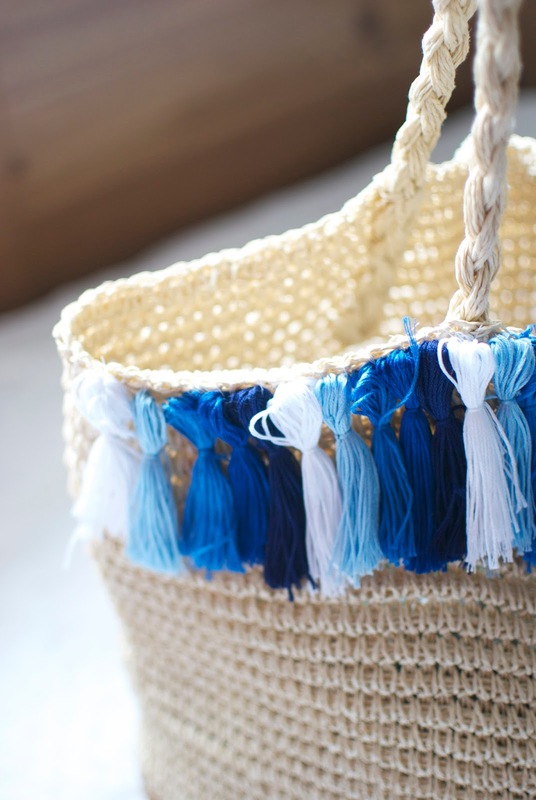 With a pair of sharp scissors, cut the skein in half to create two tassels. 4. 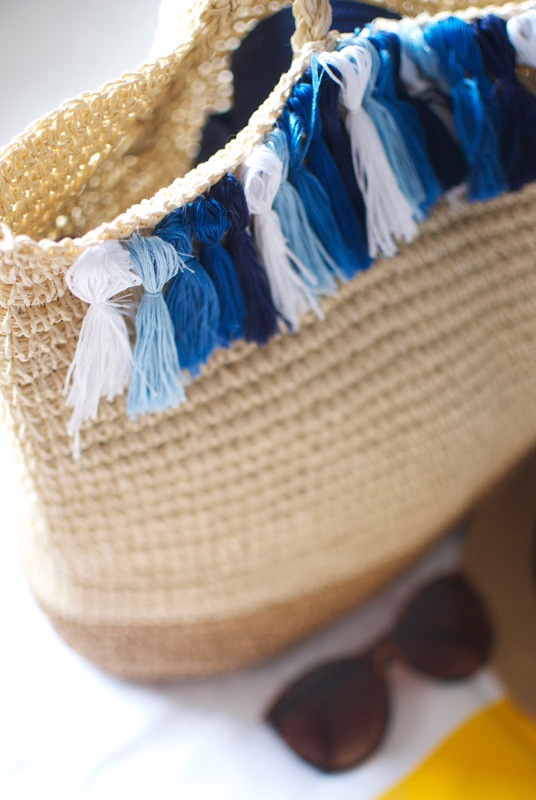 To make it easier to attach the tassel to the bag, you may want to thread a piece of the string through the top of the skein to create a loop to sew it on to the bag. I secured the tassel onto the bag without this step because it made them hang too low, but to each their own! Now hopefully that wasn't confusing! I'm realizing now that step by step photos may have been helpful. There you have it! I took a plain tote and kicked it up a notch with a bit of embroidery thread (who knew you could use it for anything other than friendship bracelets?) and a few patient hours! After finishing this up this weekend we stuffed the bag full of towels and headed to the beach. I'm fully soaking up the warm weather while it lasts!